The countdown to the close of Lent began at Palm Sunday April 14. Israeli officials reported an estimated 15,000 people took part in the procession. 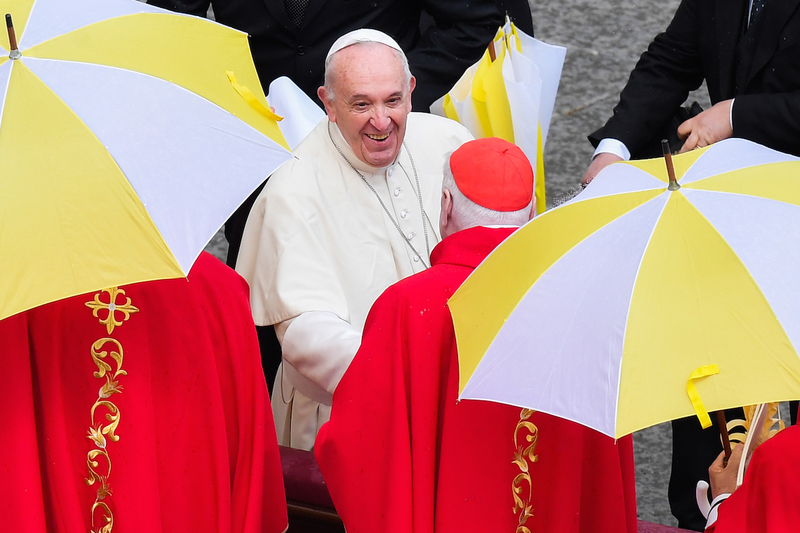 The pope cautioned against the temptation of "triumphalism", which he said feeds itself by "looking askance at others and constantly judging them inferior, wanting, failures". He added, "One subtle form of triumphalism is spiritual worldliness, which represents the greatest danger, the most treacherous temptation facing the Church". In the Holy Bible, Christ had paid a visit to Jerusalem city riding on a mule as people welcomed him with open arms waving fig and palm leaves to show their love for him.